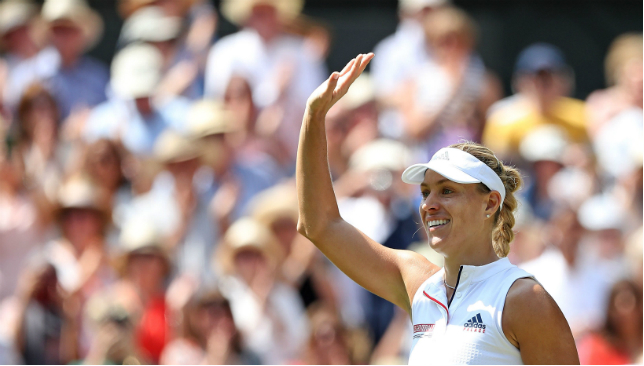 Angelique Kerber is through to a second Wimbledon final. Angelique Kerber is through to her second Wimbledon final after nullifying the threat of Jelena Ostapenko. 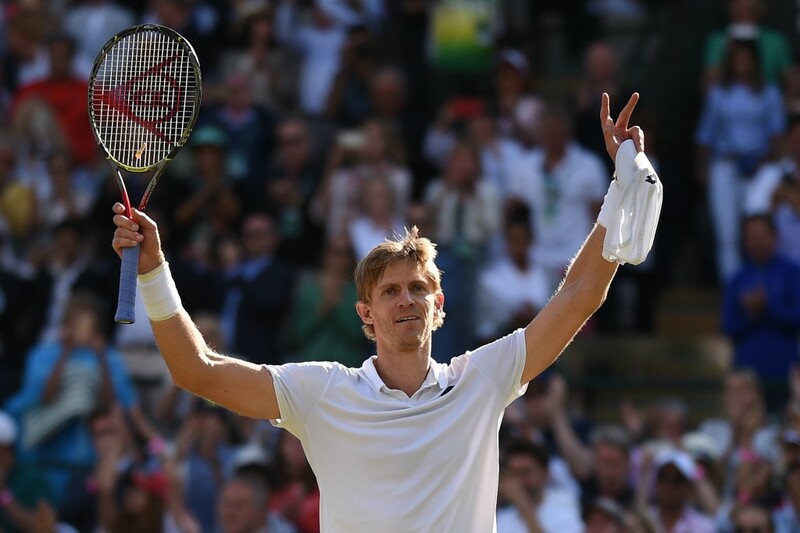 The German, who was runner-up to Serena Williams two years ago, triumphed 6-3 6-3 on Centre Court and is now one win away from a third grand slam title. This semi-final was billed as attack versus defence and it was the solid, reliable manner of Kerber that prevailed as she let an erratic Ostapenko, who was going for winners almost every shot, hand her a swathe of free points. Ostapenko won the French Open in 2017 by playing in this manner and knows no other way, but she had an off day and, despite hitting 30 winners, it was her 35 unforced errors which cost her any chance of progressing. Kerber, who spent 34 weeks at world number one between 2016 and 2017, could be set for a rematch with Williams if the eight-time champion can get past Julia Goerges in the second semi-final. “This fifth set is one of the best sets of tennis I’ve ever seen live,” said Andy Murray in the BBC commentating booth on Wimbledon Centre Court as he watched Rafael Nadal and Juan Martin del Potro push each other to their limits in the quarter-finals on Wednesday. Few would disagree with Murray’s assessment. In a 4hr 48min tug of war, Nadal overcame Del Potro 7-5, 6-7 (7), 4-6, 6-4, 6-4 to reach his first Wimbledon semi-final since 2011. It was such a tense affair, particularly the 71-minute deciding set, that when it was all over, Del Potro lay on the ground, face down, and only got up when he saw Nadal standing over him. 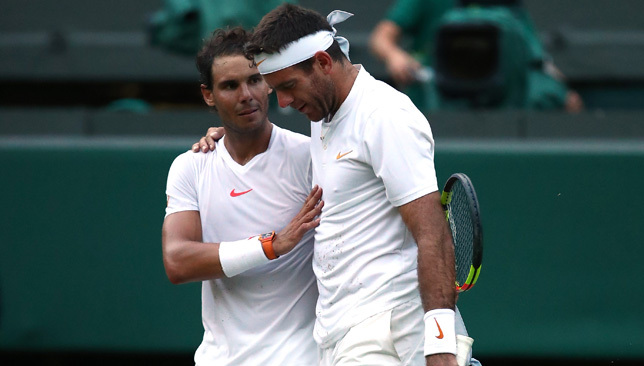 The Spaniard had walked over the net to console Del Potro. They hugged, and walked towards the umpire’s chair together, their arms around each other. “After almost five hours match, I fell down. I wanted to stay there for all night long. But Rafa came to me and we made a big hug, and it was kind of him,” said Del Potro. Nadal had three set points to go up two-sets-to-love earlier in the match. Del Potro saved the first two on his own serve. But when Nadal had a third opportunity to close out the set, the first on his serve, he double-faulted. Suddenly it was 6-6 at the change-of-ends. The Mallorcan lost the tiebreak 9-7 moments later. 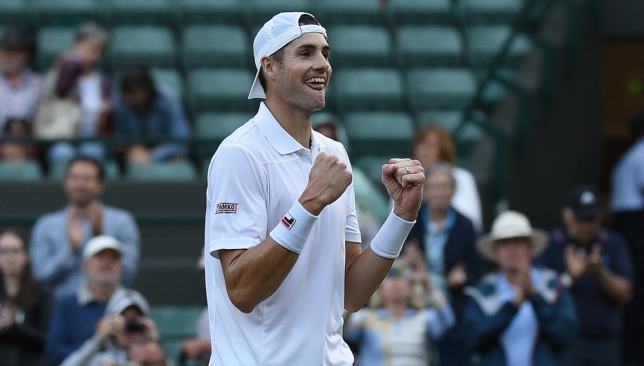 He had just lost a 71-minute second-set during which he felt he was the better player. “Of course I was worried when I lost the second set, no? Winning 6-3 in the tiebreak, it’s true that he played two great points with his serve, but then I make, yeah, very important mistake. That double fault was a big mistake. That’s how it is. Then the match changed,” admits Nadal. What followed was a battle for the ages. One that is reminiscent of Nadal’s five-set classic against Roger Federer in the 2008 Wimbledon final. Except this was a quarter-final, so the stakes felt slightly lower. “I think is a different of kind of match. Of course, have been an emotional match. Have been I think a great level of tennis and good show. But is a quarter-final match, is not a final match. That makes a difference,” said the world No. 1 after his victory. Both players kept elevating their levels. Del Potro’s forehand was as frightening as ever, and at one point he fired one so fast, it sent Murray into uncontrollable laughter. “107 miles an hour. That’s very funny,” said a chuckling Murray. As the court got slipperier, both players started taking a few doubles, particularly on their net approaches. Del Potro pulled off some diving volleys that sent the crowd gasping, and he is particularly proud of one of those shots. Nadal was told about Murray’s assessment of the fifth set, and was asked if he is able to enjoy a set like that, while he’s battling through it. “It’s difficult to explain the feelings because, of course, you appreciate it. In some way you enjoy it. At the same time every point counts a lot. Is difficult to distract yourself thinking that you are enjoying that moment, no?” he said. Nadal’s reward is a place in the 28th Grand Slam semi-final of his career, and a 52nd showdown with long-time rival Novak Djokovic. Will Nadal do anything special to recover from this near-five-hour bout with Del Potro? “What do you want me to do, a handstand?” joked Nadal. It’s going to be the usual for the 32-year-old – an ice bath and lots of work with his physio. “There is no one other match in the history of tennis that played more than our match,” Nadal said looking ahead to the Djokovic clash. “That’s a big thing. We always played in important stages, important places.